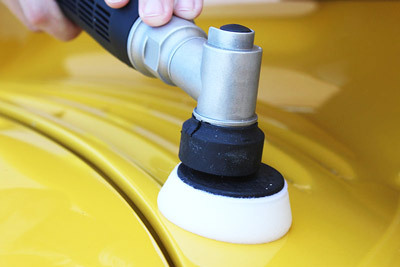 2 inch Buff and Shine Uro-Tec Foam Pads fit the RUPES iBrid perfectly and allow for precision detailing. Please note, the 2 inch Buff and Shine Uro-Tec Pads actually measure approximately 2.125 inches and have a 2.125 inch foam face and a 2 inch backing. A 2 inch backing plate is needed to use the 2 inch Buff and Shine Uro-Tec Pads.